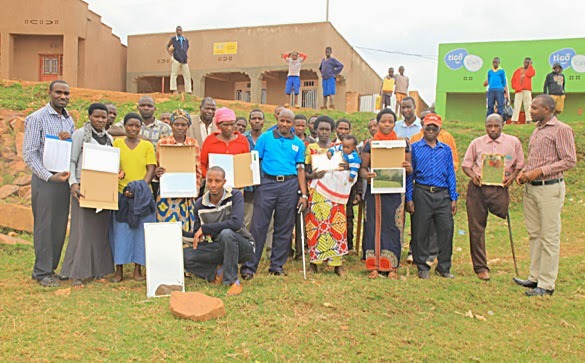 On August 20, 2014, a Mirror Therapy Workshop led by ETPP Representative, Jean Luc Ngarambe (far left) was held at the Gihembe Refugee Camp in Rwanda. The Workshop was attended by fifteen amputees and ten family members who will act as coaches for their kin in home-based therapy procedures. 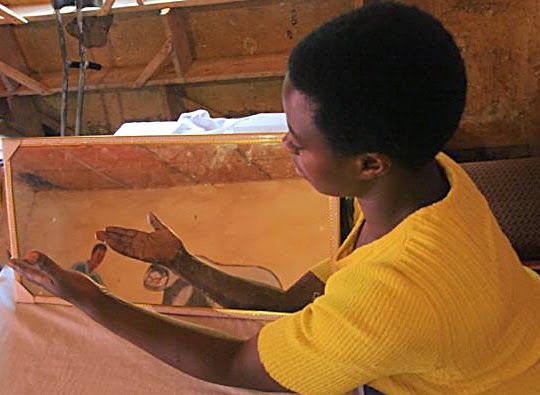 The participants, Rwandan refugees from the Congo, were each given a mirror and guided through a Mirror Therapy session by Jean Luc Ngarambe. 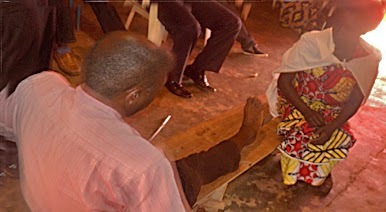 The amputees expressed gratitude for this focus on relief of existing Phantom Limb Pain and planned to follow the thirty-day schedule faithfully. Their outcome will be posted in October.